Currently, as India is the 12th largest source market for the Philippines country and its tourism, the latter is said to be working on setting up a direct connection between it and India and is also mulling implementing travel without a visa for Indians. Travel Trends Today quotes SanJeet, the Philippines Tourism Marketing Office India, Tourism Attaché, as saying that the number of Indians arriving in the Philippines was high and rising. With the number of Indian arrivals in the Philippines about to touch the 100,000 mark, India had become 12th biggest source market for the Southeast Asian country and is on its way to figure in its top 10, he said. According to him, the Philippines is viewed by Indians as a special destination. Moreover, the number of Indians visiting the country has grown by 20 percent on an average over the past many months, owing to its aggressive marketing, heightened visibility, word-of-mouth and more such initiatives by their Indian DOT team to the MICE, commerce, corporations, etc. SanJeet said saturation was being witnessed by Indian travellers in other destinations in Southeast Asia in their vacation list. As Indian millennials have started seeking new experiences, the Philippines has cashed in because of English being widely spoken there. He went on to say that the Philippines Tourism was also working hard to implement a ‘no visa’ for nationals of India and was planning to introduce direct flights from India to the Philippines. He stated that Indians, who spend four days and five nights, travel to a minimum of three places in the Philippines. After the Far East country was successful in attracting many Indians from the major metropolitan cities, the country is now putting its efforts to attract travellers from Indian tier II & III cities, places where there is potential. SanJeet said these markets were being made aware of tourism and other opportunities in the Philippines through trade shows and road shows. He also added that the Philippines offers a range of options to the MICE segment travellers, leading to a considerable growth of MICE segment from India to the Philippines. He said that 20 wedding planners from India were invited a FAM trip, which they reportedly enjoyed and were pleased with the opportunities for weddings that the Philippines offered. Meanwhile, the Philippines Tourism is talking with major airline carriers to look out for opportunities. SanJeet said the DOT was trying all things possible to introduce a direct flight between India and the Philippines. He concluded by saying that during their recent road shows in four cities of India, air carriers such as Cathay Pacific, Thai Airlines, Philippine Airlines and Singapore Airlines were sent invites to witness the massive market of India and the potential that this South Asian nation offered. 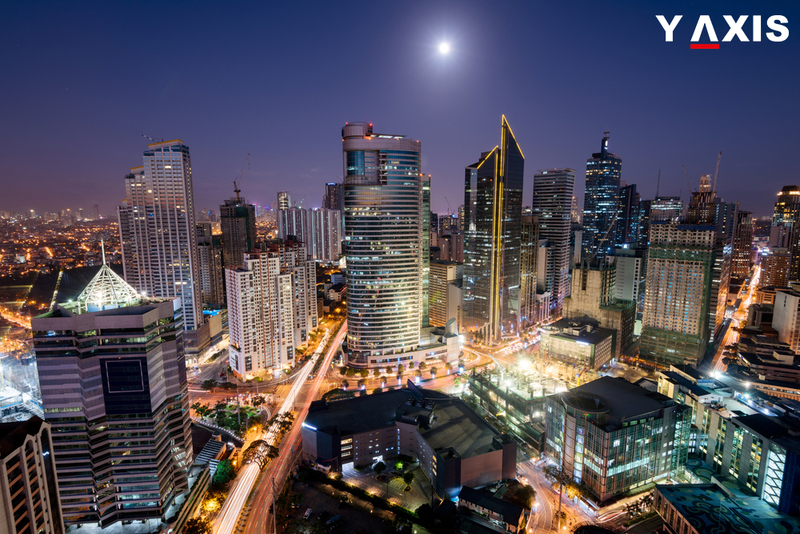 If you are looking to travel to the Philippines, get in touch with Y-Axis, a renowned consultancy for immigration services, to apply for a visa.